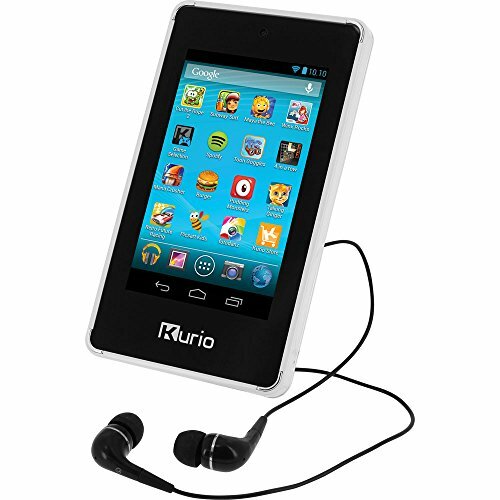 The Personal Android Media Player, preloaded with games, educational activities, ebooks and multimedia apps; as well as access to Google Play and Kurio Store. Set up to 4 independent user profiles all with KurioGenius parental control to apply customisable 24/7 safe internet filtering and define time and application management.An intuitive multi-touch 4" screen, built-in WI-FI, 1GB RAM, 8GB storage and micro SD card slot. Plus full multimedia capabilities to view and take photos, listen to music, watch videos and play games, all whilst you're on the go. Complete with earphones. Suitable for 4 years.